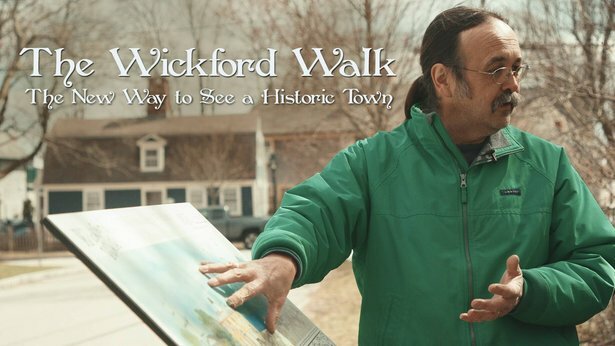 In North Kingstown, Rhode Island, a hidden historical gem enters the public eye in The Wickford Walk, a documentary rooted in Wickford Village’s rich history. 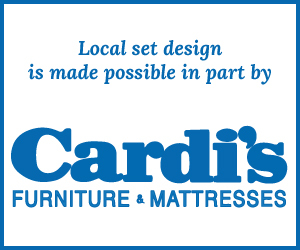 Rhode Island PBS premieres The Wickford Walk on Friday, April 5 at 8 p.m. The documentary encores Saturday, April 6 at noon and 11 p.m., and Sunday, April 7 at 7 p.m.
Wickford Village was borne from the visionary mind of Lodowick Updike, the grandson of one of North Kingstown’s first settlers. During the Revolutionary War, Wickford became a safe haven for prominent Newport citizens who desired to escape British occupation. Around the 1790s, a boom of economic and cultural growth occurred, cementing Wickford Village as a crucial Rhode Island seaport. Through the years, Wickford Village has stayed pristinely intact due to strict historic zoning rules and the tireless efforts of the Rhode Island community. The Wickford WalkThe documentary follows Wickford historian, Tim Cranston, as he gives audiences a special walking tour through the village. As each marker of the historic walk is reached, Cranston stops to explain the historical buildings, landmarks, and significance of it all. 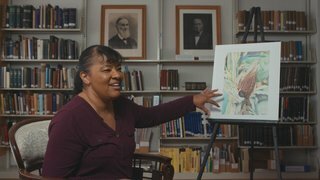 The documentary also recruits prominent Rhode Island artists to display their Wickford Village artwork and explain the creative process that went into designing them. Through these insights, residents of Wickford and North Kingstown are able to experience an all-encompassing celebration of their town’s history. The Wickford WalkThe purpose of The Wickford Walk is to demonstrate the importance of community involvement and how generations to come will benefit from the careful preservation and support of local history. 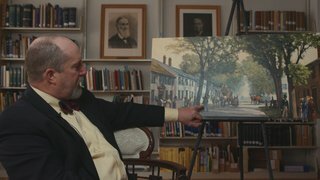 Director Charlie Weber’s documentary gives the community a glimpse into old-world Rhode Island, as much of Wickford Village remains unchanged from its original state. From the sea captain’s houses to the Newport Ferry, viewers embark on a journey to the past they will never forget.